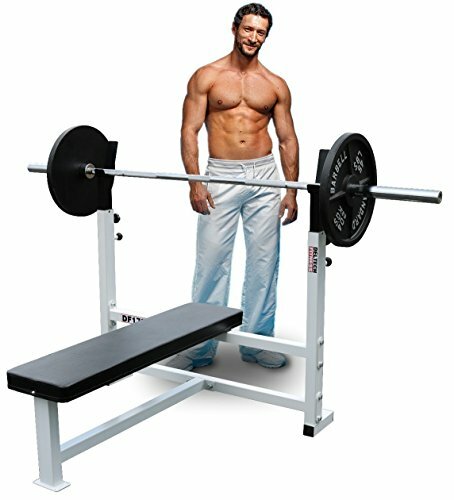 This is the highest quality bench press in the Deltech Fitness line. This bench is preferred by rookie, intermediate, and advanced lifters alike for its comfort and stability while performing bench press exercises. With a weight captivity of 750lbs, the DF1700 Flat Bench Press is designed for the serious lifter. This flat bench eliminates side-to-side movement and wobbles in the back rest with its sturdy fixed design and heavy steel tube structure. Our flat bench press gives commercial gym quality support and rigidity that any lifter can use with confidence. Other notable features: This flat bench is welded to American Welding Society (AWS) specifications and comes with lock nuts and zinc hardware to complete a dependable bench press that will last a lifetime.